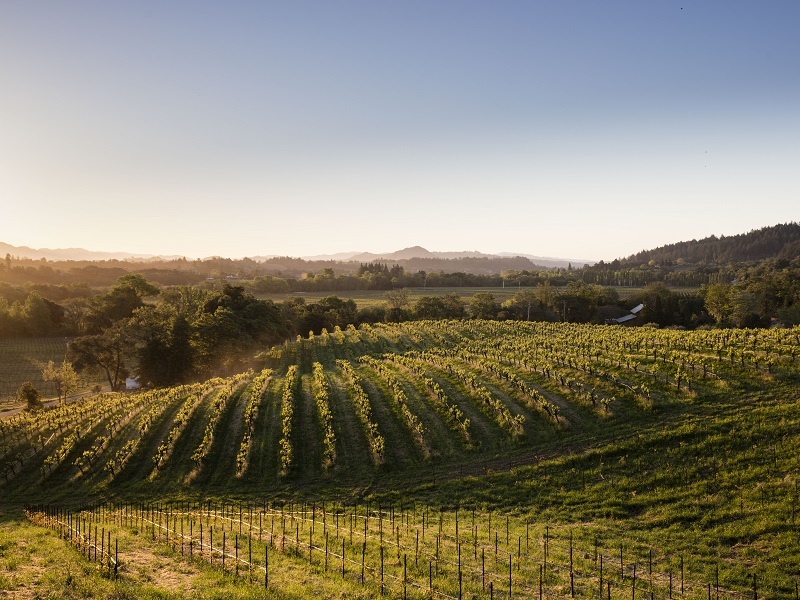 Taste organically farmed wines and enjoy beautiful vistas. With no appointment necessary, please join us daily between 10AM and 4:30PM. Classic Flight - $20. 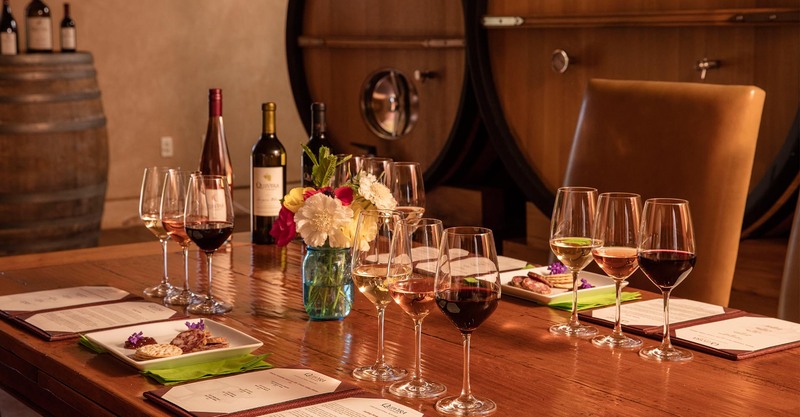 The Estate Tasting features a flight of wines paired with estate-raised charcuterie and other treats. 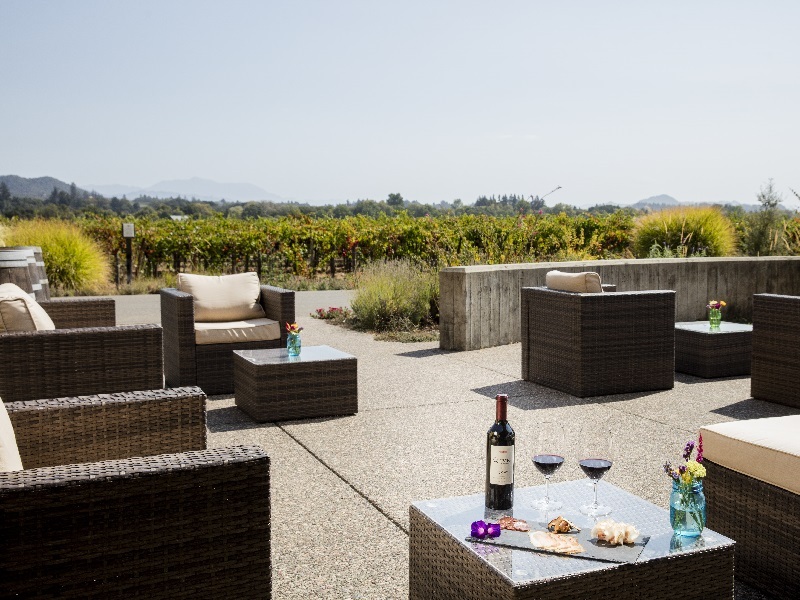 Enjoy the tasting on our patio overlooking the vineyard and the valley. Offered throughout the day with an appointment required. The Estate Tasting is $30 per person. The Estate Tour offers a comprehensive visit to our vineyards and garden. Get an in-depth perspective on our commitment to sustainable farming plus a flight of estate wines paired with estate-raised charcuterie. Offered daily by appointment at 11AM and 2PM. $40 per person. With breathtaking views of Mt. 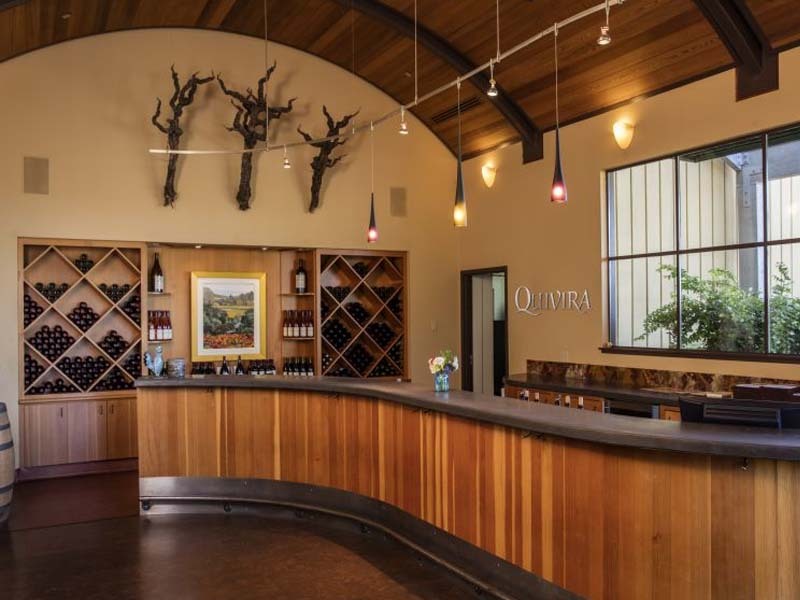 St. Helena, our tasting room is located in the heart of Dry Creek Valley in Healdsburg. Organically farmed vineyards and gardens create a memorable experience. 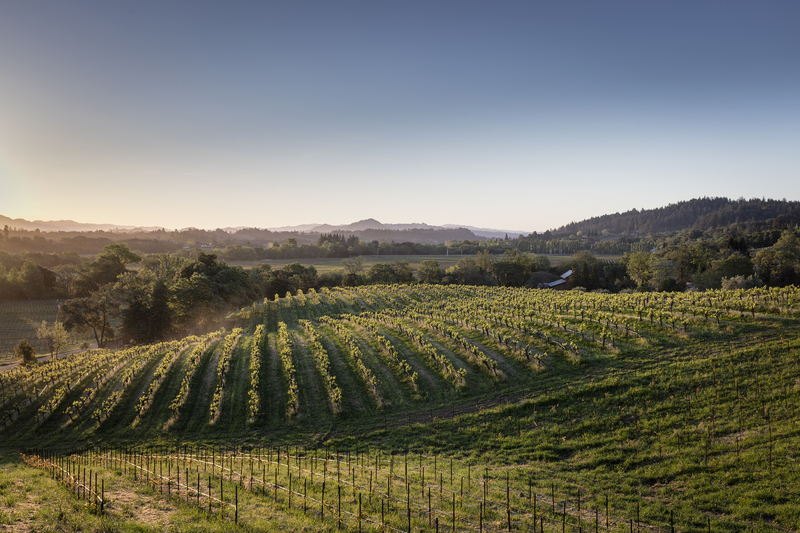 Our vineyard tours make us a preferred wine country destination for many Healdsburg hotels, restaurants and B&B's. Come experience the finest in Dry Creek Wine tasting.